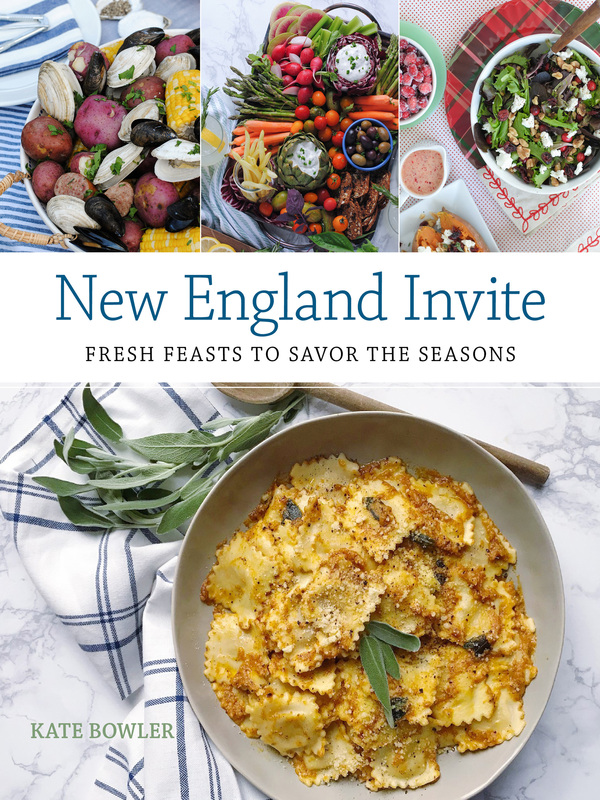 When a box arrives in the mail from my friends at Martha Stewart Living, I always know there will be fun times to be had. This particular mail day I was excited to find they shared some adorable Martha Stewart glasses from Macy’s with me, and Kerrygold® Irish Cream Liqueur to experiment with! Given our recent heat wave and general summer celebratory mood, I decided to try my hand and mixing up a batch of spiked milkshakes for a simple dessert-cocktail. Combining dessert and cocktails in one almost shouldn’t be allowed, because they’re the two very best things you can consume – putting them together feels downright indulgent. 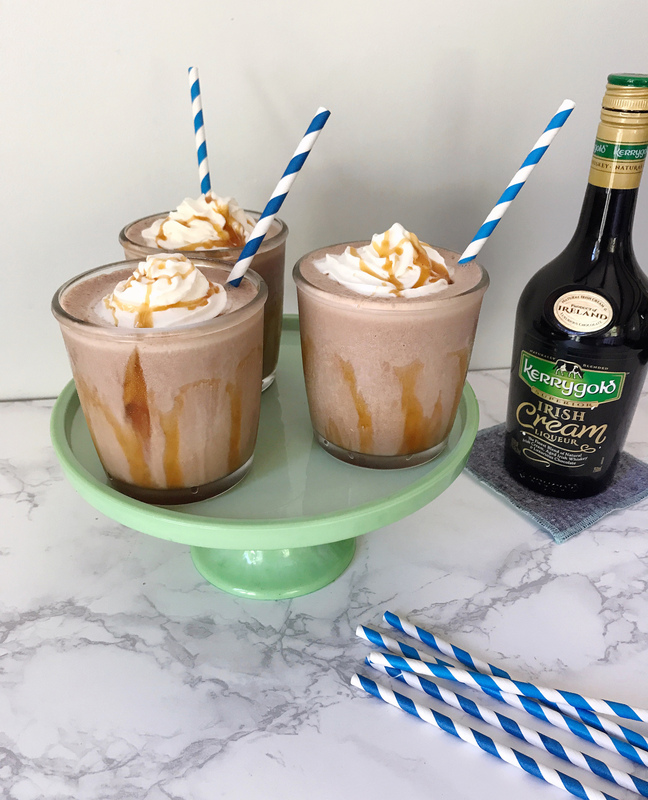 Indulge we did, and blended together the velvety Kerrygold® Irish Cream Liqueur made with real chocolate (yum), scoops of coffee and chocolate ice creams, and served them in glasses drizzled with caramel sauce. These milkshakes demand a little whipped cream to finish them off, because go big or go home, right? 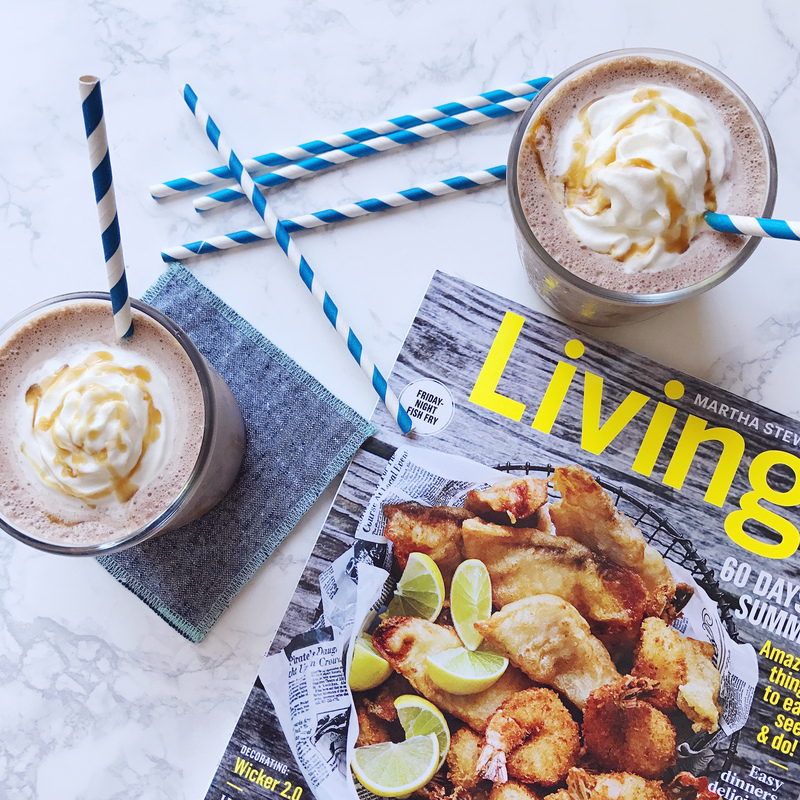 These spiked milkshakes were a good reminder that I should probably use my blender more, because it’s one of the easiest ways to create a quick and easy treat or meal. It’s so quick in fact, that you can quickly blend a liquor free batch for kids (or as a mocktail for pregnant friends, I happen to have quite a few of those these days and I think they’d be delighted to hear milkshakes were on the menu!). It’s also a great base for tons of other flavor combinations. 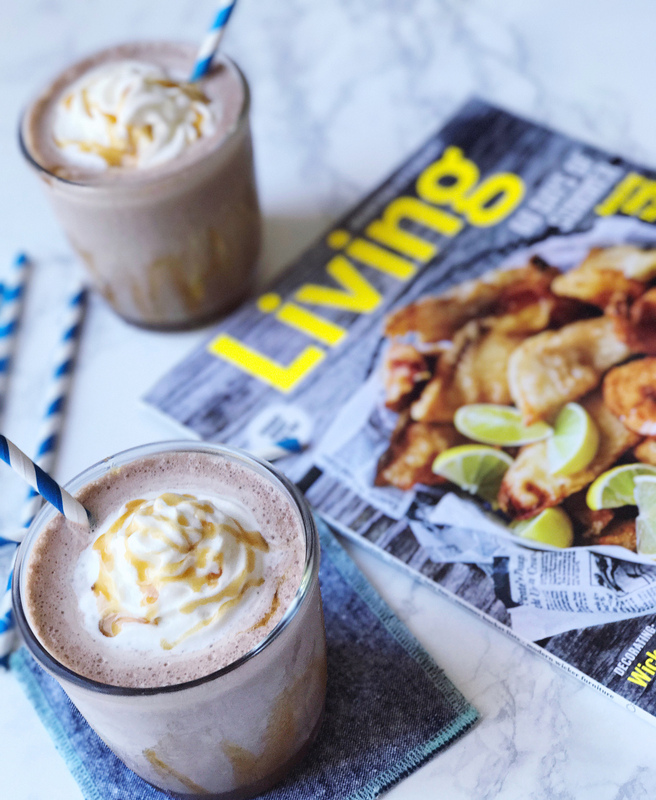 Swap in a vanilla ice cream or fudge swirl for different milkshake flavors, or jazz it up with a dash of sea salt in your caramel or swirl in hazelnut spread for nutty notes. Get the full recipe below and start mixing up your own batch! 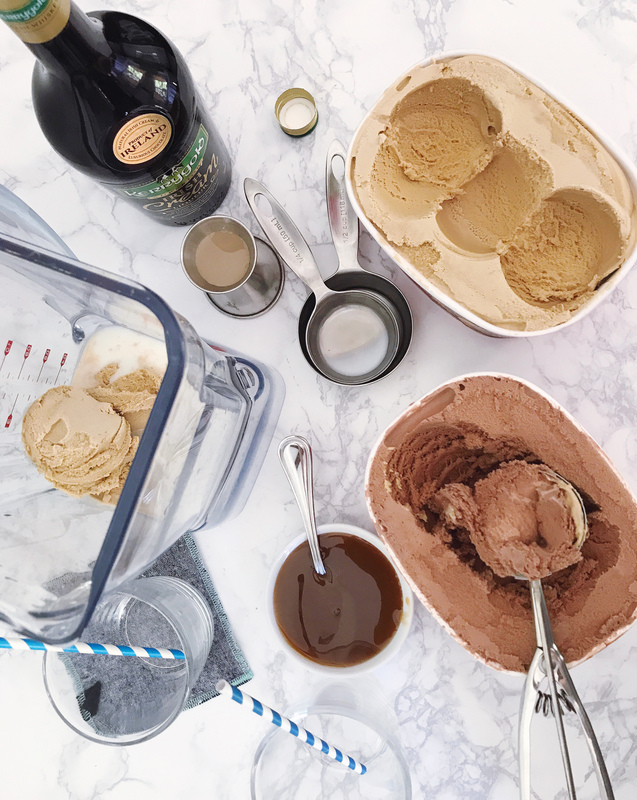 Combine KerryGold Irish Cream Liqueur with ice cream and milk in a blender; blend until smooth. Drizzle the inside of a glass with caramel sauce and pour in milkshake mixture. *Makes one milkshake: multiply the ingredients by the number of servings to increase yield. 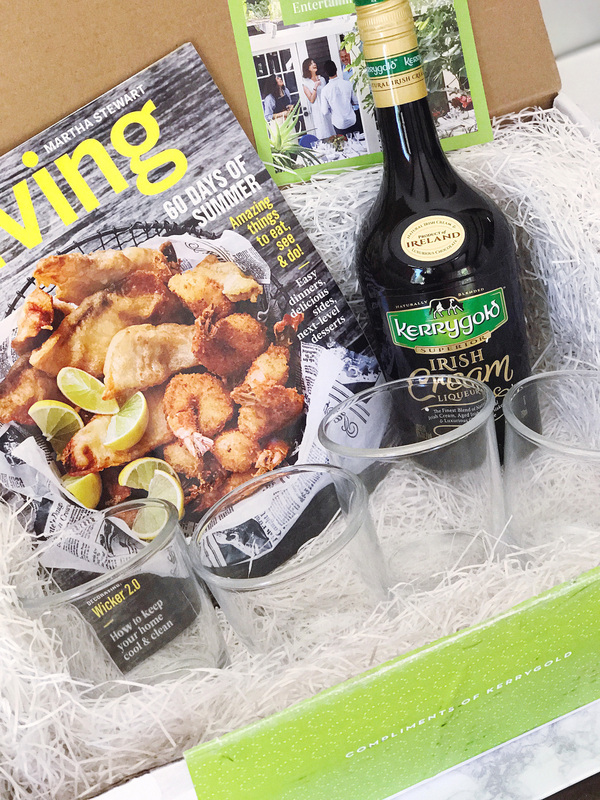 Please note: This post was created in partnership with Kerrygold® Irish Cream Liqueur and Martha Stewart Living. All opinions, images and ideas are my own. Thank you for supporting brands that support this site. Chambray Style. 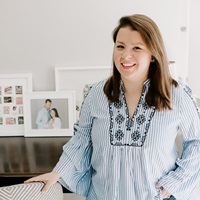 The Ultimate Baby Registry Review – Six Months Later. One Response to "Coffee Chocolate Caramel Spiked Milkshakes." There look so good! I haven’t had Kalua since college but I love a good milkshake.